You’re only thirty days away from a brand-new perspective on relationships. What if the most important word in the Bible isn’t actually in the Bible? It’s not written in black and white on the pages, but it’s in every chapter. The word is relationship. The Bible was written so that we could know how to relate to God and other people. God deserves glory, and we simultaneously receive joy from glorifying Him. Relationships with our spouses, parents, children, teammates, co-workers, and extended family are the most valued commodity in our lives. At the same time, we struggle more relationally than in any other area of our lives. In this book, thirty different people from varied stages of life offer their perspectives on relationships. What if there was one resource that discussed how to deal with chronic illness in your family, how to communicate better, how to understand sexuality from a Christian worldview, how to deal with the loss of a child, or how to help your children love each other more and fight less? That content exists in the pages of this book. 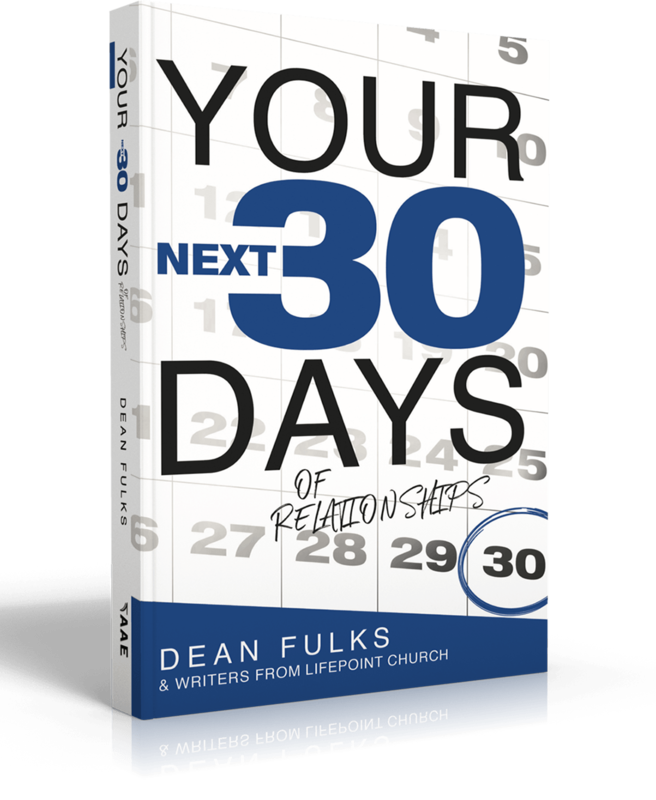 Dean Fulks, along with twenty-nine other authors from Lifepoint Church, has written Your Next Thirty Days of Relationships just for you. With humorous, engaging stories, these authors share both the highs and lows of life’s relational journey. Whether you’re far from God or you prayed to Him this morning, prepare yourself for an exciting adventure. What you discover will reshape the way you see God, others, and yourself. Start your first day today! You're only thirty days away from a brand new perspective on life. The United States is a spiritual paradox. Eighty-nine percent of the population believes in God. Yet, only thirty-eight percent feel relationally close to God. There's a Grand Canyon of difference between comprehension and connection. Spiritually, we are the most informed generation in history. Yet, we are also the least committed. What if you could turn the content you have about God into a connection with God? What if the God who created the universe is wanting and waiting to step into your life personally on a daily basis? 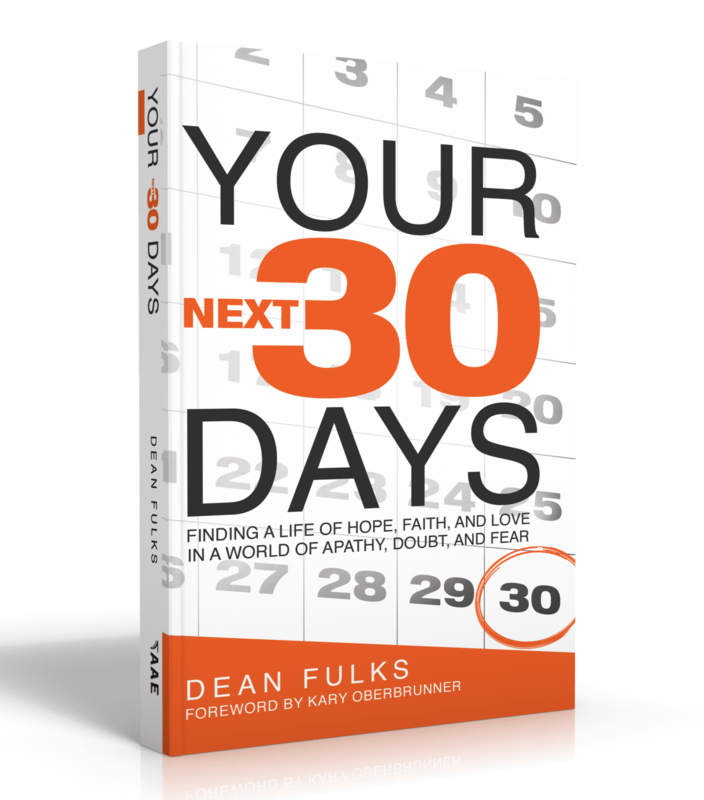 Dean Fulks has written Your Next Thirty Days just for you. With humorous, engaging stories, his practical teaching style leads you on a thirty-day journey to bring you closer to the One who made you. Whether you're far from God or you've prayed to Him this morning, prepare yourself for an exciting adventure. What you discover will reshape the way you see your Creator, your core, and your community. Start your first day--today! 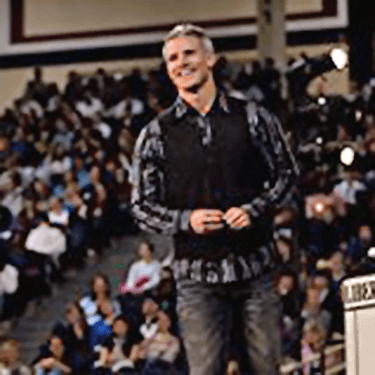 Dean Fulks is the Lead Pastor at Lifepoint Church on the north side of Columbus, Ohio. He leads his local congregation and works with SEND North America to make disciples and multiply churches in Mid-Ohio, the Midwest, and the world.